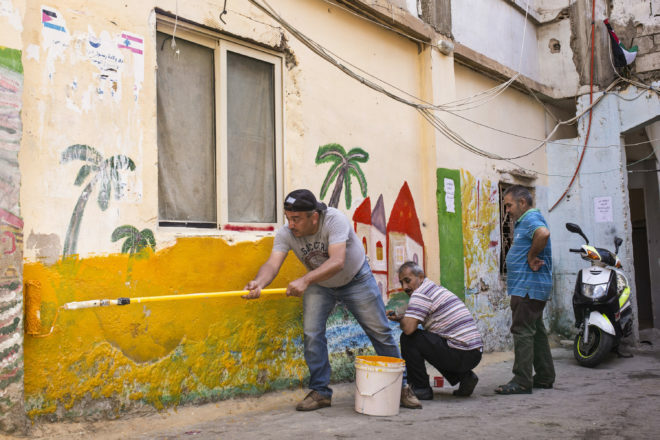 Our recent and ongoing research with PPS Fellow Rony Jalkh on placemaking and peacemaking has helped us to better understand the importance of placemaking and public spaces within the refugee crisis. In this article, Samer reflects on why it is especially crucial for humanitarians to further recognize and explore this connection. The majority of the world’s displaced (over 60% of refugees and 80% of internally displaced persons) now live in urban areas, while the humanitarian system has largely been designed to serve people in camp or rural settings. 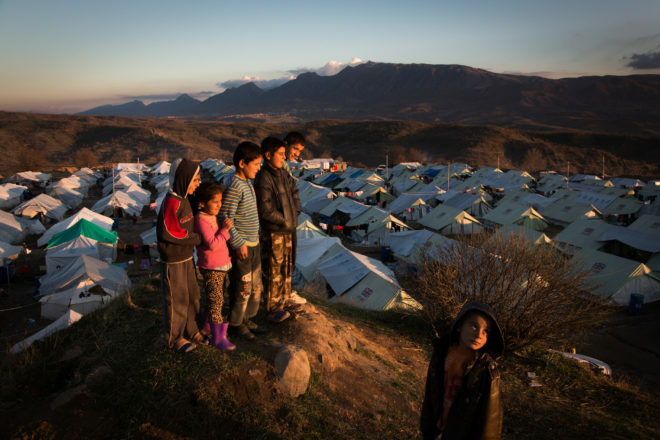 Nowhere is this dichotomy more apparent than in the Syria region, where humanitarians have been forced to adapt their programs since the start of the conflict to meet the needs of the 90% of Syrian refugees that now reside in towns or cities instead of camps. This means an increased reliance on cash assistance, a focus on both refugees and the vulnerabilities of their host communities, and more coordination with local municipalities. While this shift to better aid for the urban displaced is welcomed and continuously championed by coalitions such as the Global Alliance for Urban Crises, we can—and should—do more to think creatively on how to address the needs of both host and displaced populations, and that includes leveraging the potential of place and public space in urban humanitarianism. A recent International Rescue Committee (IRC) desk review of humanitarian tools finds that they do not currently include spatial mapping of the urban environments in which they work. At the same time, the New Urban Agenda—successfully adopted during Habitat III in October of this year—continuously highlights the need for “safe, inclusive, accessible, green and quality public spaces,” while also calling for inclusion, safety, and economic wellbeing of “refugees, internally displaced persons, and migrants, particularly the poorest and those in vulnerable situations.” In cities, achieving a safe and inclusive society and a safe and inclusive environment are not mutually exclusive endeavors. Achieving the former means utilizing the latter. From the humanitarian perspective, creating safe, inclusive, and accessible cities for the urban displaced means focusing on the importance of place and public space. In my past life as an urban planner, making maps was a part of my daily routine. I’m now well over a year into my job in the humanitarian field and I have yet to make a single map, even though I’m still working in cities. While I welcomed the break from placing tedious north arrows at first, it’s time for me to make maps again. In my opinion, here are eight reasons why. When people are forced from their homes, their memories are often tied to places they’ve left behind. They’ll take out their phones and flash a picture of “where I used to drink tea with my friends” or “my father standing in front of our house.” They identify with the places they left behind, and so humanitarians must work to help them identify with the place to which they’ve arrived. Giving them an active stake in the design and activities of public spaces can make them feel more welcomed and at home in their new environments. You’ve heard of the “bad part of town,” but what about the part of town that’s vulnerable to flood risk? How about the part of town that’s completely cut-off from the rest of the city due to a six-lane highway? Research shows that displaced populations often move in already marginalized neighborhoods of a city, typically in developing countries. At the same time, marginalized neighborhoods are at higher risk to natural disaster, are not adequately connected to public services, and already host residents that are typically more vulnerable than the rest of the city’s population. Considering the confluence of these factors reveals that place is tied to risk and vulnerability, particularly in urban areas. Addressing risk and vulnerability, therefore, requires us to take into account the dynamics of place and public space. Public spaces are “public” because they are shared. While exceptions exist, such as extreme policies enacted by Lebanese municipalities, there are no criteria as to who can access them or partake in activities within them. As such, public spaces can be powerful tools to reconcile differences and build social cohesion. On the other hand, restricting access to them can exacerbate discrimination and social tension. The physical and social assets or risks of a neighborhood are often separate and viewed as unrelated. However, by linking public service to public space, the former can promote the accessibility and effectiveness of the latter. In Dar es Salaam, for example, NGOs often hold weekend-long “Health Fairs” where marginalized groups know to come to one open lot where they can receive healthcare they are otherwise unable to access. Just as places can promote social cohesion, so too can the design process of placemaking. By involving the community and all relevant stakeholders in the design of a public space, humanitarians can promote dialogue between different stakeholders and use the design process as a way of engendering communication and constructive dialogue. Also, including the community in the design process encourages them to take more ownership of the space, to promote safety within it, and to better identify with it and the surrounding neighborhood. 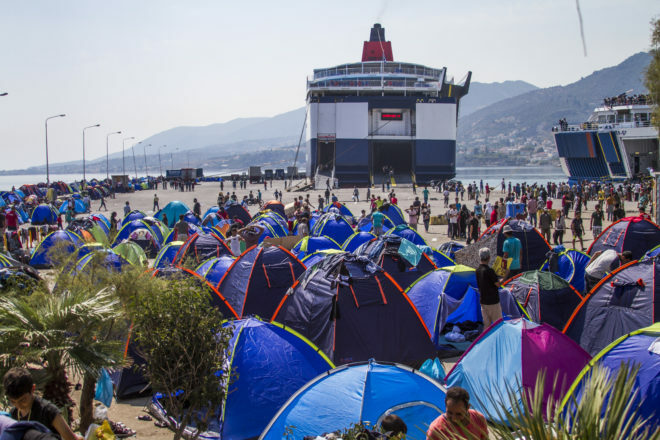 One example is the IRC’s now-closed transit site on the northern shores of Lesbos, discussed in this recent report. The site was located and designed with the active support of the local community, which in turn made the community more aware and empathetic towards the plight of refugees using the site during the height of the refugee crisis in Greece. There are few successful public spaces that are programmed for just one activity. True public spaces allow for a multitude of activities and therefore can serve as ideal places for multi-sectoral humanitarian programming, which is crucial in urban areas where people’s needs are more diverse and interconnected. The IRC’s Women’s Clinic in Mafraq, Jordan, for example, allows for a multitude of services for refugee and Jordanian women in one single building. The same principle applies to the success of public spaces in non-humanitarian contexts, where the diversity of activities often translates to the most efficient use of the space for the greatest number of people. Show me an urban designer who claims a public space they’ve designed is being used exactly as they intended and I’ll show you a liar. The beauty of a successful public space is that is allows for local ingenuity. That is, people are able use it to suit their specific needs, whether it’s setting up a farmers market or using public benches as a skate park. A public space that allows for interpretation can reveal the ingenuity of a neighborhood’s residents. The best uses often bubble to the top and are important to the majority of residents, thereby promoting socialization and place attachment. There is no better signifier of a neighborhood than its public spaces. Public spaces are windows into how a neighborhood’s people treat each other, spend their social capital, and share a certain quality of life. They can also reveal the drivers of violence and division, and therefore illuminate pathways to solving them. Victoria Square in central Athens, for example, recently played host to hundreds of transient migrants and refugees during their stay in the city. This concentration of a vulnerable population led to instances of trafficking and sexual exploitation anchored within Victoria Square. Paying close attention to the use and accessibility of public spaces may help humanitarians in finding more localized and contextually relevant solutions to building safe and welcoming communities. Samer Saliba (Samer.Saliba@rescue.org) is the urban technical specialist at the International Rescue Committee and is currently gathering evidence around how to improve urban humanitarian response and incorporate placemaking into humanitarian projects. Prior to this, he served as an urban planner bolstering the resilience of New York City and the Northeast U.S. He holds a Master of Urban Planning from New York University’s Wagner School of Public Service.